Before our staff’s very eyes, the young lady who once had attendance, academic and discipline issues became a model student and business professional. Kathery Hernandez first came to the Student Success Office looking for someone to talk to about personal struggles hindering her success in school. She often felt angry, sad and confused and knew she needed someone to talk to. She soon met Ms. Soto, former Student Success Coach in the community school. Through long talks, mentoring and involvement in school activities, Kathery was able to come out of her shell and show Evans what she had to offer. Before our staff’s very eyes, the young lady who once had attendance, academic and discipline issues became a model student and business professional. Kathery now carries a 3.6 GPA, is on track for graduation in 2016, and has a better home life and relationship with her family. 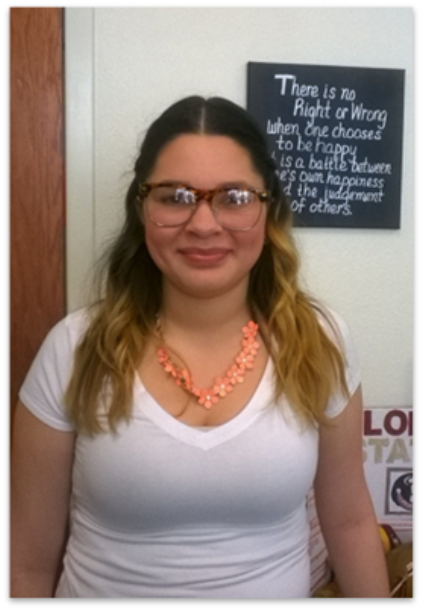 Kathery credits Ms. Soto and the Student Success Program at the Community School for her turnaround. Soft Opening Introduces the "Hub"
Evans High School • A Community Partnership School was established through a partnership among Children’s Home Society of Florida, Orange Blossom Family Health, Orange County Public Schools and the University of Central Florida and receives support from many generous funders and contributors. © 2016 Evans Community School, All Rights Reserved.